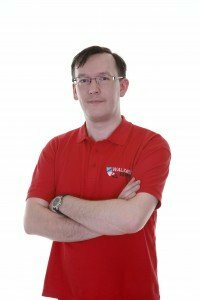 Walker IT Support have 15 years experience in computer repairs and small business office networks. We will be able to help you through all your computer related issues. Covering the North East of England region. We pride ourselves in same-day repair of home and small business computer servers and systems, engineer appointments can normally be arranged within two hours or anytime that suits you. The majority of our repairs are carried out at your home or business address. When a repair needs further investigation or specialist equipment to diagnose or repair we will collect your equipment and take it to our workshop for diagnosis and if agreed repair it. If you contact us before 11am we are normally able to arrange a visit the same day. We offer free estimates but please bear in mind you can save yourself time by choosing us. As you’ll be hard pressed to find a offering for the same service and value for money as Walker IT Support. We do not charge a call out fee if you are within 15 miles of Gateshead, just a flat rate per hour for labour. Any replacement parts required for repairs will be agreed upon before any work begins and there are no hidden charges. If any parts are required to repair your equipment, we will source the best parts for you and only charge what it cost us to acquire them. Appointments are available over weekends and in the evenings, this way we can visit at a time that is most convenient to you. If we are unable to diagnose the fault with your computer, either at your home or business premises or ours, then there will be no charges. If we are able to offer a repair option, but you refuse, then the charge of £30 will remain payable for the diagnosis. Being very knowledgeable about anything and everything technology related, We have a huge array of tools for diagnosis and many years of experience. We can repair any PC or laptop computer built by any of the major brands as well as custom built desktop and tower PCs. We’re very knowledgeable about all things technology related, ask us about a particular technology product or service and we’re happy to impart advice related based on the most important factors to you. Any parts replaced will be covered by a manufacturers warranty of at least 30 days but up to 3 or even 5 years in some cases, while any work carried out fitting and setting it up is covered by our 90 day guarantee. We charge £30 for the first hour of labour, any subsequent labour is calculated on half hour intervals. We also own and opperate ThisHosting.Company, you guessed it a website and email hosting company. We can produce bespoke websties and hosting for your hobby, organisation or business.